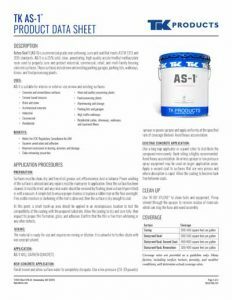 AS-1 is a 25% solid concrete cure and seal that is clear, penetrating, high-quality acrylic/methyl methacrylate resin used to properly cure and protect industrial, commercial, retail, and multi-family housing concrete surfaces that meet ASTM 1315 and ASTM 309 standards. 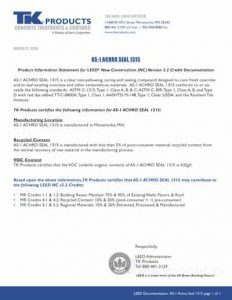 Achro Seal 1 (AS-1) is a commercial grade, non-yellowing, concrete cure and seal that meets ASTM 1315 and 309 standards. AS-1 is a 25% solid, clear, penetrating, high-quality acrylic/methyl methacrylate resin used to properly cure concrete and protect industrial, commercial, retail, and multi-family housing concrete surfaces. These surfaces include new and existing parking garages, parking lots, walkways, drives, and food processing plants. 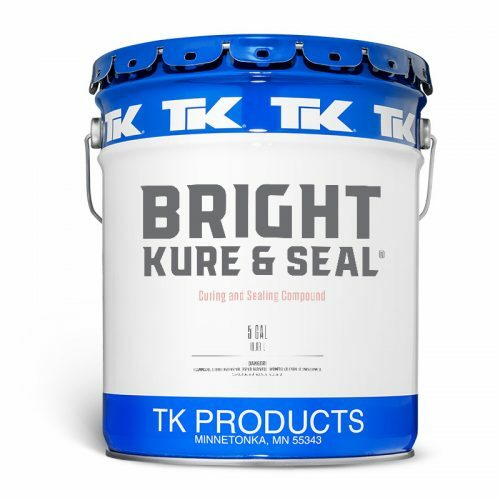 Surfaces must be clean, dry, and free of oil, grease, soil, efflorescence, dust or laitance. Power washing of the surface is advised and any repairs must be made prior to application. Once the surface has been cleaned, it must be dried, and any rinse water should be removed by flushing down a drain (if permitted) or with a vacuum. A simple test to ensure proper dryness is to place a rubber mat on the floor overnight. If no visible moisture or darkening of the mat is observed, then the surface is dry enough to coat. At this point, a small mock-up area should be applied in an inconspicuous location to test the compatibility of the coating with the prepared substrate. Allow the coating to dry and cure fully, then inspect for proper film formation, gloss, and adhesion. Confirm that the film is free from whitening or any other defects. The material is ready for use and requires no mixing or dilution. It is unlawful to further dilute with non-exempt solvent. Finish trowel and allow surface water to completely dissipate. Use a low pressure (20-30 pounds) sprayer or power sprayer and apply uniformly at the specified rate of coverage (below). Avoid heavy accumulation. Use a long nap applicator or a paint roller to distribute the compound more evenly. Back rolling is highly recommended. Avoid heavy accumulation. An airless sprayer or low-pressure spray equipment may be used on larger application areas. 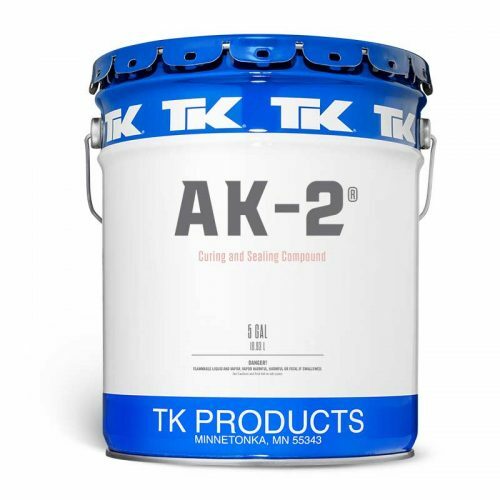 Apply a second coat to surfaces that are very porous and where absorption is rapid. Allow the coating to become tack-free between coats. Coverage rates are provided as a guideline only. Many factors, including surface texture, porosity, and weather conditions, will determine actual coverage rates. A clear, methacrylate/acrylic copolymer rea sin blended with fast-drying aromatic hydrocarbon. – USDA Authorization for use in meat, poultry, and food processing plants. – Resilient Tile Institute approval for compatibility with most resilient tile, carpet adhesives, and paints.